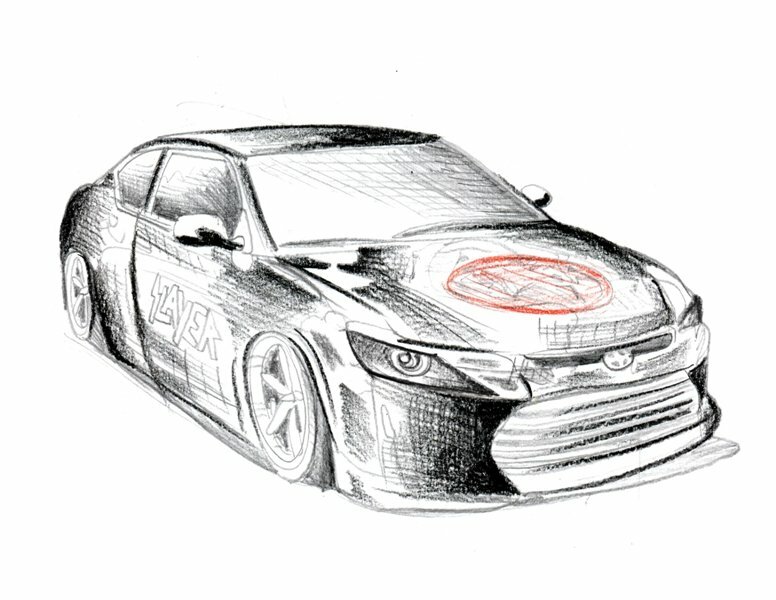 Toyota’s Scion brand is prepping for the upcoming SEMA Show in a big way by teasing out two sketches of some customized, tricked out Scion’s. 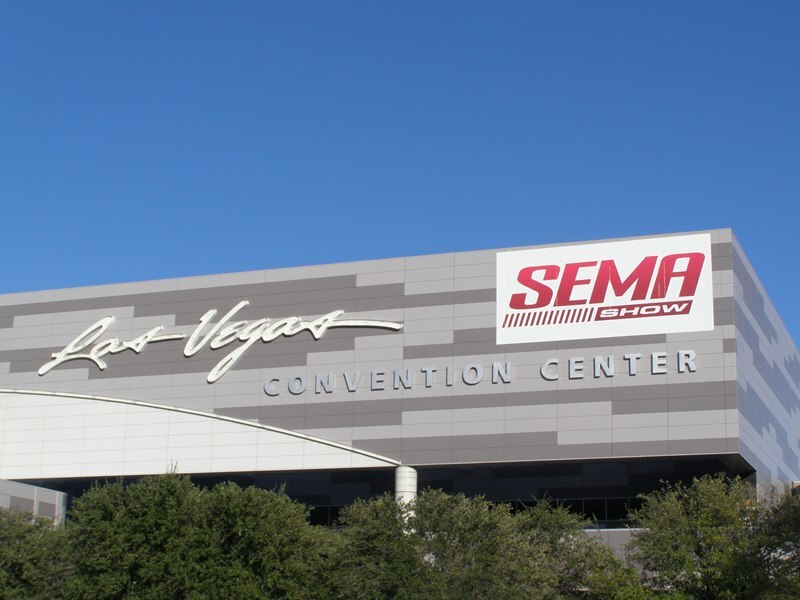 Scion will showcase in Las Vegas at least two models; a Slayer Mobile Amp tC themed after trash metal band Slayer and a Riley Hawk Skate Tour xB named for the pro skateboarder. 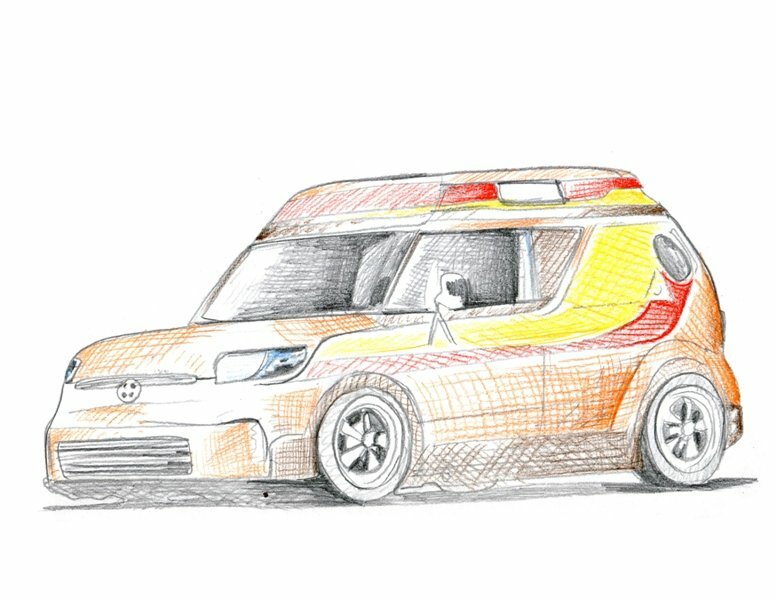 Scion’s have always branded and positioned themselves as an entry market for coming of age drivers and buyers and offer many ways to customize the cars right off the dealer’s lot. Last year Toyota had some neat racer inspired cars plus a “Tanked” Highlander which we showcased here. Now we’ll have to be sure and check out the Scion cars this year! You’d expect a Slayer dedicated show car to focus on the music and you wouldn’t be wrong. The music is going to be pumping out of this tC for sure. Slayer is a California formed heavy metal band and has won two Grammy awards. It will be interesting to see if any of the four band members make it out for the debut of this Scion. Riley Hawk’s ride, an xB, will present a flashback to the 70’s van craze. His ride will have shag carpet, bubble windows and wood paneling on the interior. Can’t wait to see it in person at the SEMA show in Las Vegas. There is bound to be enough room for his skateboard in this tricked out Scion! Riley Hawk is the son of Tony Hawk, who revolutionized skateboarding on the West Coast. Riley is only 21 years of age and is already an award winning skater, but suspect Dad had to explain what shag carpeting was about! 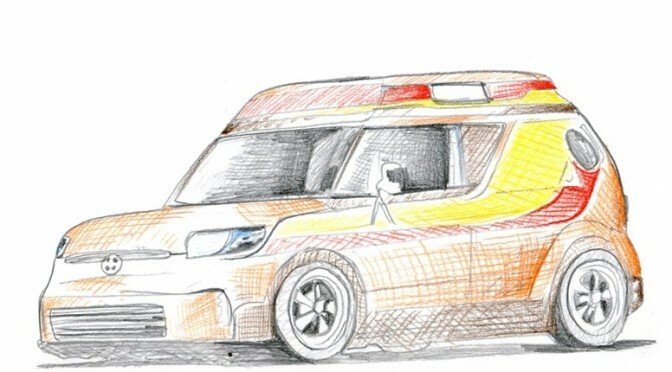 The sketches are a bit limited in presenting what the final version will look like, but can’t wait to see the outcomes in a month at the SEMA Show. We’ll keep our eye peeled for more progress updates.